Courtney counsels public and private companies in domestic and international commercial real estate transactions and loans for financial institutions and corporations. In her real estate and development practice, Courtney has extensive experience advising corporate clients on the leasing, subleasing, acquisition and disposition of real estate assets and preparing and negotiating significant office leases on behalf of tenants and landlords. She has provided nationwide real estate counseling on leasing matters, asset acquisitions and dispositions to a multinational firearms company and international not-for-profit. She also represents lending institutions in the origination, servicing and closing of real estate and commercial loans involving apartment complexes, shopping centers, farming operations, office buildings, hotels, special-use facilities and businesses of all types. 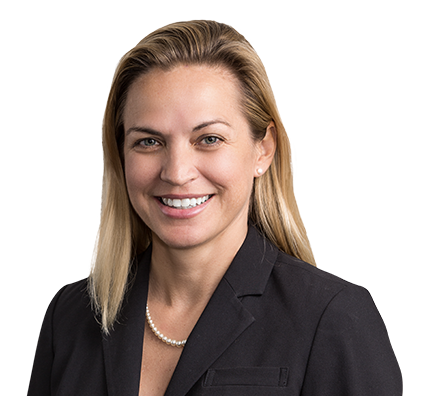 Courtney also has advised on the resolution, management and disposition of delinquent commercial loans and real estate involving properties located in many states. Counseled client with purchase of one of Oklahoma’s largest construction companies in a multimillion-dollar transaction. Advised Fortune 500 lender with respect to local real estate matters, management, leasing and licensing requirements of skilled-nursing facility acquired by lender as a result of a $55 million restructuring. Streamlined governance structure of a national nonprofit organization by dissolving several regional affiliates, merging other affiliates into the national entity, amending and restating the bylaws, and revising the mission statement. Guided a variety of not-for-profit corporations, including the largest not-for-profit source of salaried corporate internships, on corporate restructuring, corporate governance and real estate matters. Counsel for family of life insurance companies in the origination and servicing of more than $5 billion in commercial, agricultural loans secured by properties in more than 30 states. Assisted lender with $80 million syndicated financing to publicly traded corporation. Represented lender on a $67 million refinancing for a major retail development. Counseled a Fortune 500 company with respect to transfer of real estate assets as part of a major restructuring of multiple subsidiaries, affiliates and divisions.